All about Secured Loans, what they are and when they are a good idea. A Secured Loan is guaranteed to the bank by them having a charge on your house. A Secured Loan is only a good idea for amounts over £15,000. Your credit rating does not need to b A+ for a secured loan. We’ve compared the best secured loan deals for you and have brought you our top 3, based on low interest rates, good reputation of the lender and loan amount available. These are the hot 3 deals on the market currently. Below are our top 3 secured loans, these loans require you to use your house as collateral. Representative example: If you borrowed £35,000 over 120 months – Fixed rate of 3.9% per annum would result in a representative rate of 4.0% APR, monthly repayments of £353.36 and total amount repayable of £42,403.20. No repayment holidays, No CCA early settlement penalty. Representative example: Assuming a borrowing of £35,000 over 120 months at a fixed rate of 4.0% per annum, this would result in a representative rate of 4.1% APR, monthly repayments of £354.19 and a total amount repayable of £42,502.80. Representative example: Assumed borrowing amount of £35,000 over 120 months at a fixed rate of 4.3% per annum would result in a representative rate of 4.3% APR, monthly repayments of £358.53 and a total amount repayable of £43,023.60. A secured loan is also known as a homeowner loan or alternatively can be classed as a second charge mortgage. It allows you to borrow a bigger amount of money which is often upwards of £25,000 by using the value you have in your property as a security against the repayments. This value stored in your home is known as your collateral. Why would anyone want to take out a secured loan? An unsecured personal loan usually gives people the opportunity to borrow amounts under £15,000 over a time period of up to 5 years, and this is a more popular alternative to a homeowner loan. That is because it avoids putting your house at risk and can often have a lower interest rate but that is set against the maximum amount you can borrow being £15,000 and also relies on a strong credit rating because the bank or lender is using your past payment history to validate you will be able to repay the loan. As a result of this, to borrow more than £15,000 usually requires some security for the bank or lender. This leaves most people with the option of taking a remortgage in order to free up some money. Mortgage interest rates are some of the best borrowing rates out there even with the recent slow rises. However, the downside of this route can involve potentially hefty fees and also the fact that a remortgage means paying interest for longer on the total amount that you owe. This leads people into looking at a secured loan as a viable and effective method of financing certain things. Why would I use a secured loan? Because personal loans are only available up to £15,000 usually, a secured loan is a great option to borrow the money provided you have a suitable repayment plan and the funds to stick to it. If you are currently on a low rate mortgage there is a very good chance that the rates on new deals will be significantly higher than they are on your current deal and very often mortgage lenders charge high fees to exit early. A popular use of a secured loan is to fund your home improvement projects for example an extension, or an attic conversion. Using a secured loan for home improvements would mean you could undertake significant works, whereas with an unsecured loan you are more limited in the scope of works that you can get done. This is also a good option because you will be adding value to your property which in effect, over time will negate the interest you paid on the secured loan. 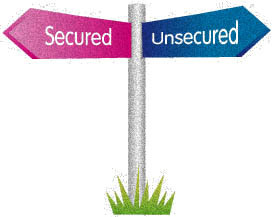 Secured loans can be used for pretty much anything, after all, they are secured against your house. Common areas for secured loans to be spent in are the consolidation of existing debt and extensions or refurbs to properties. Choosing a fixed monthly repayment plan makes your budgeting far easier. You need to be realistic about what you can afford however. If you are already paying a lot of interest out on other borrowings, particularly if they are high interest rates like credit cards, using a secured loan can be suitable if the amount you already owe is over and above what you could borrow using our Credit Card interest free switching tricks. You need to be aware though that you could be extending the length of time you will be paying the simplified debt for and may even be increasing the actual total you repay back. The interest rates for secured loans are usually lower than for unsecured loans because by their nature they are borrowed over a longer term. The top secured loans headline interest rates currently start at 5 – 6%. There is a wide variety of secured loan deals out there, just like there is on all other financial products like credit cards and bank accounts. The deals vary significantly and as with all things finance, people with better credit scores and solid credit history tend to get better offers. 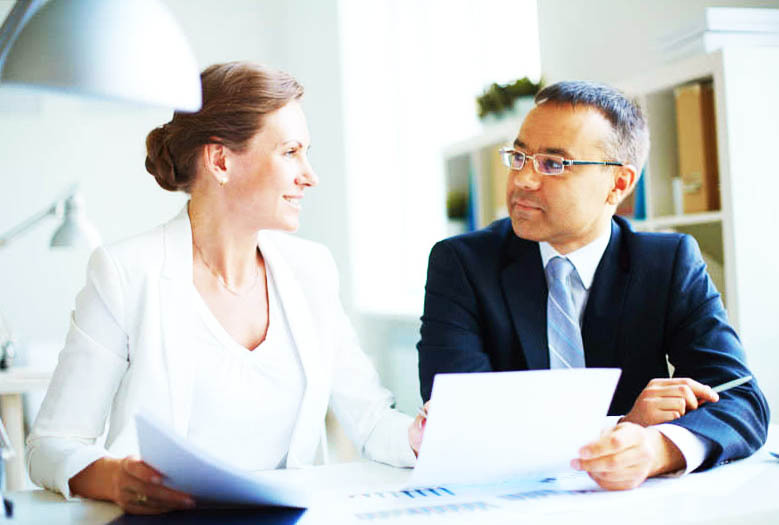 To get approved for a secured loan can often be easier than getting an unsecured personal loan because lenders are more happy to accept applications from people with a bad credit history because of the fact the loan is secured. To take out a secured loan you will need…. Loan providers are more likely to lend secured loans to people with a less than immaculate credit history but the amount you will be able to borrow, the terms of the loan and the interest rates will vary depending on your credit score, credit profile and your circumstances. In order to be considered for a secured loan you need to have been a UK resident usually for a minimum of 3 years and having a longer term address than this will help your application in being approved. Your income must be sufficient to repay the secured loan and this will also factor in if you have a buffer in there to account for any bad circumstances that may arise, eg redundancy. Yes, because your house is going to be your security, you need to have sufficient equity in the property to offset the loan amount plus a buffer amount to cover the lender in the event of a housing market slump for example. Is is a very good idea to take out an insurance policy that will protect your secured loan in the event that you are made redundant or become ill. It is a wise move to take advice on the correct policy to give you peace of mind during the secured loans term. At the end of the day, your home is at risk if you fail to make secured loan repayments on time. Having said this, most lenders will always try and work with borrowers in difficulty before going down the repossession route as it is time consuming and not to mention very costly for them to take this route. They bear these facts in mind when making a lending decision, which is why a solid credit history is very beneficial. Repaying a secured loan back early, if for example you saved up the money faster than planned or came into some money can often incur an early repayment charge. This means it is wise to look into any charges that can be levied from this before you take out a loan of any sort. Secured loans are normally repaid over a period of between 5 and 25 years, and although smaller repayments over a bigger time period can seem more pleasing to your wallet, it will incur more interest and cost more in the long run. What can I use a secured loan for? It is possible to increase your mortgage and then spend that on home improvements, this could add value to the house itself but generally borrowing money to pay off debts is not a good plan. However the fact remains that the interest rates on mortgages are very often lower than you would receive as a rate for on a personal loan, they are certainly lower than credit card loan rates but you could spend up spending a lot more money in the long term. Your property’s value needs to have grown past the original mortgage amount that you took out, which therefore gives you equity in the property. You must feel comfortable with the added monthly amount that you will have to pay out and you must have also calculated that you can definitely afford this additional amount, even if your circumstances change eg you become unemployed. Can I get a joint secured loan for home improvements? Yes, you can take out a secured loan in joint names provided you both jointly own the property the loan is against. You will be credit checked separately for this. Can I use a secured loan to buy a new car? Yes, you can provided the lender allows this type of item purchase, which many do. Technically it could be used as a deposit on another property and to pay towards a new mortgage but the lender would consider your outgoings and if you could afford to take on new borrowing. If it was a buy to let, that may work in your favour.